If I were the worrying kind, I might be concerned about the future of cigars. No, not because of all the restrictive laws and rising taxes and health scares. While those are all serious threats, I’m more anxious about the fact that cigars seem to be everywhere these days. I can hardly pick up a magazine without having the smiling face of Avo Uvezian look back at me or seeing a Macanudo smoker wistfully thinking about his pickup. And I’m certainly not just talking about cigar magazines. The other day, while waiting to get my hair cut, I was thumbing through Popular Mechanics and there, big as life, was a Punch ad. I can’t remember the last time I thumbed through any magazine with a significant male audience without seeing at least one cigar ad. I also recently ran across two photos of cigar smokers in one day’s newspaper. A few nights later, I noticed a character—not even a villain—in a TV series casually smoking a cigar. What’s wrong with all that? Well, premium cigar smokers are obviously a small crowd in the grand scheme of things, and manufacturers need to work at getting more people to join the party. I would surely agree with that. Heck, I think everybody should smoke good cigars. Those who don’t, quite simply, don’t know what they’re missing. Those who do are better people for it. But could this be the beginning of a cigar bubble? Not like the past “boom” that was fed and then killed by lousy cigars. But the kind of overexposure that leads public opinion to quickly turn on something or someone, be it Paris Hilton or disco. Maybe, though, this is where all the smoking opponents are doing us a favor. With it now nearly impossible to smoke anywhere you can be seen, perhaps I’m overestimating the danger of exposure, much less overexposure. So, I think I’ll just light up and relax. Where’s that copy of Popular Mechanics? I'm a bit torn on the issue. Increased popularity generally means that more people are accepting of it, which could be nice on those days where people give you funny looks for smoking near them. On the flip side, it could go the other way, with politicians and lobbyists taking action to curb the growth in popularity. Politicians, who generally do not distinguish greatly between cigarettes and cigars, would immediately take action if cigarette smoking increased by 30 or 40%. Would the same happen with a rise in popularity of cigar smoking? The less “trendy” something is, the more it entices people to want to do it. 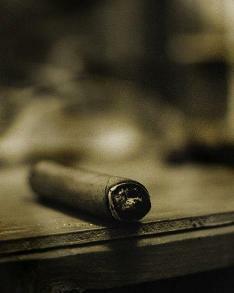 During the cigar craze, my cigar smoking didn’t even garner a single comment from anyone. Now when I am smoking a cigar in an Irish pub, I get all kinds of interested comments from people like “what are you smoking there?”… it’s interesting in these times that cigars appear more “popular” than ever. If cigars are now associated with a more rebellious mindset, more antiestablishment, more independent, more casual… I can live with that. I agree with Charlie, the rise in popularity is probably because cigar smoking is less trendy and more obscure than cigarette smoking. I don’t think it’s anything to worry about, though. In the two years I’ve been working at my current company, I’ve seen *one* other cigar smoker. At the local coffee shop, I’m the “cigar guy”. And I always get looks/compliments from the aroma of the cigars I smoke. People don’t seem to hate on cigar smokers as much as cigarette smokers. The increased popularity kinda makes sense though…there are always going to be those people like us who do the opposite of what the mainstream/mass media wants us to do. The media has beat us to death with the “smoking is terrible” message. The more they condemn it, the more attractive it will become to non-conformists.